How do self-learning electric radiators work? Haverland SmartWave Self Learning Electric Radiators use built in infrared sensors to learn your weekly routine and adapt a heating programme that warms the room when you’re there and saves energy when you’re away. 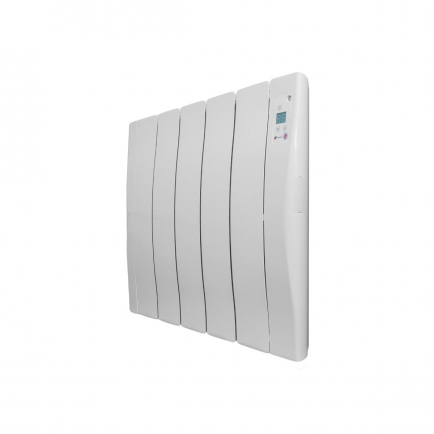 The first of its kind available in the UK, the SmartWave sets a new bar for electric heating control and efficiency. Haverland SmartWave Electric Radiators have three operating modes: self-learning, sensor and manual. The three modes, along with Wifi controllability available when you purchase your SmartWaves with a Wifi SmartBox, give you total freedom to choose how you control your SmartWave radiators. How does the SmartWave self-learning mode work? When you first purchase your SmartWave Radiators they will be set to self-learning mode. The infrared sensor on the radiator body monitors movement around the room to make a record of your weekly routine for every hour of each individual day of the week. In the first week of operation, the radiator will also switch on whenever it senses movement in order to keep you warm while it learns your routine. The following week, the SmartWave will provide heat automatically based on your learned routine, heating up 30 minutes in advance of when the radiator expects you to be in the room, so, provided the radiator has learned a representative routine, your house should always be warm when and where you need it. Each radiator in your house works separately, so you won’t have the same heating programme in your living room as you will in your kitchen, and so on. That’s part of the beauty of self-learning electric heating – it allows you to make energy savings from room to room, as well as across the week. As long as the radiator remains in self-learning mode it will continue to monitor and learn your routine – so that every week it will heat for the routine it recorded the previous week, allowing the radiators to adapt to any long-term changes in your lifestyle. Will SmartWave radiators waste energy if I deviate from my routine? No – don’t worry, the SmartWave has plenty of tricks up its sleeves to adapt to any changes in your routine. Few of us have a routine so rigid that we stick to it unwaveringly week after week. On Tuesday we might be late back from work because of an over-running meeting. Perhaps on Wednesday we might be working from home to accept a delivery. Maybe on Saturday we’ll be out all day to visit a friend. Whether you’re back earlier or later than expected, or you’re spending time in different rooms to normal, our radiators will adapt. For starters, as long as it can sense your movement, the SmartWave will continue to maintain comfort temperatures – so it won’t suddenly cut the heat if you linger in that favourite armchair a little longer than normal. Then, if you return home earlier than expected, the SmartWave’s sensor will detect your movements and will signal the radiator to start warming up immediately; with the radiators fast-acting aluminium heating elements, this means the room will reach your preferred comfort temperature in a matter of minutes. If you leave early, get home late or are unexpectedly absent for any other reason, the SmartWave will switch to economy mode after half an hour. If after several hours you still have not returned, the SmartWave will switch to anti-freeze mode. This ensures that your radiators won’t waste energy heating an empty house. What if I go on holiday? If you’re expecting to be away for a long period of time – perhaps for a holiday, or a week working abroad – you can switch your SmartWave radiators to sensor mode to reduce your energy usage. The radiators will only start producing comfort temperatures when they sense movement on your return. While the radiators do not sense movement they will operate on anti-freeze mode, only producing a low level of heat when they sense the temperature slipping beneath 5 ˚C. This is invaluable if you want to make sure your pipes don’t freeze over the Christmas holidays, for example. When you get back, all you have to do is switch the radiators back to self-learning mode to re-initiate your saved heating programme; the SmartWave stores your learned heating programmes in a battery powered memory core, so it will not lose your saved programmes even if you switch them off at the wall. This also protects your heating programmes in the event of a power cut. What if it gets warm and I don’t need the heating anymore? If you’re sure you don’t need any heating, you can always switch the radiators off – safe in the knowledge that your heating programmes will be stored in the SmartWave’s battery powered memory. However, you should remember that even if your radiators are switched on and programmed to maintain comfort temperatures, they will only actually produce heat if your rooms are not already at the required temperature. High precision thermostats built into the body of each of your radiators monitor room temperature and will only allow the radiator to switch on if the room needs heating. Even on cooler days, the thermostat will monitor the room temperature and switch the radiator on and off to maintain the correct temperature. In well insulated rooms, this can mean your radiators are only actually using power to heat for a third of the time they are activated – so you only ever use as much power as you need to maintain your comfort temperatures. How do I choose the temperature on my SmartWave radiators? When you set up your SmartWave radiators initially you will be asked to set your temperature settings and preferences. Each radiator has three heating modes: comfort, economy and anti-freeze. Anti-freeze is always set to 5 ˚C, a minimal level of heat which prevents your pipes freezing over. This is the mode to use when a room is unused or the house is empty. Comfort and economy mode can be set to the temperature of your choice. Comfort is the mode the radiator will use when your rooms are in use; economy is used when the radiator is waiting for you to return. The SmartWave will also ask you to choose whether you want the radiator to prioritise comfort or prioritise economy. If the radiator prioritises comfort it will wait for 16 hours of unexpected absence before it switches to anti-freeze. If the radiator prioritises economy it will only wait for 12 hours. Remember, you can set different heating priorities and temperatures for each room – another way to help you save energy. A comfort temperature of 21 ˚C is usually preferred in the living room, but you may only want a comfort temperature of 18 ˚C in your kitchen, home gym or other rooms when you’re more likely to be active. Sounds complex? Perhaps it seems so at first, but it’s all based on one simple premise: that the more control you have, the more energy you can save. Is the Haverland SmartWave programmable? Not only are our self-learning radiators super-smart – they’re also Wi-Fi compatible and fully programmable, so you can have as much control over your radiators as you want. The self-learning function makes energy saving easy, but sometimes you want that extra control to fine-tune your heating to your personal preferences. 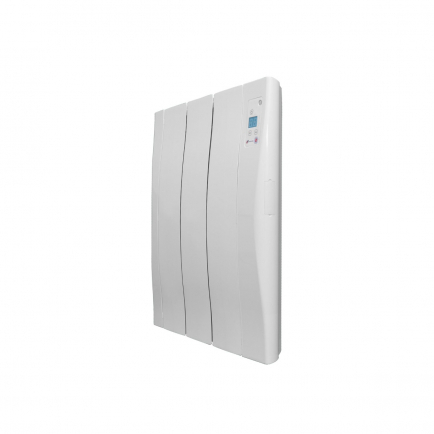 For full programming control over your SmartWave radiators you will need to purchase a SmartBox to connect your radiators to the internet. The SmartBox simply plugs into your router and uses a radio frequency to communicate with your radiators. The SmartBox can control up to 32 radiators and has a range of 60m through solid walls, so, unless you live in a palace, you will only need one SmartBox for your entire household. You will then need to download the Haverland heating app onto your laptop, tablet or phone. The app has been intuitively designed to make programming your radiators as quick and easy as possible. Temperature levels can be adjusted for every hour and every day of the week, so you can create a bespoke heating schedule tailored around your lifestyle. If you purchase your SmartWave radiators without a SmartBox you will be able to control your radiators to a limited extent using manual mode. Manual mode allows you to set and change the current temperature of your radiator between anti-freeze, economy and comfort mode. However, it does not allow you to programme the radiators in advance. Do self-learning electric radiators work if you’ve got pets? Our Haverland SmartWave Radiators are designed to monitor the activity of humans, but they will also register the movement of any similarly sized living thing. If you have a large dog, for instance, the SmartWave will pick up on its movements and start providing comfort heating – which your dog may appreciate, but you may not! If you have large dogs and want to use SmartWave heating you may want to restrict your use of the radiators to upstairs rooms and other spaces unfrequented by your canine companions. Alternatively, you can run your downstairs SmartWave radiators in manual mode and create a personalised heating programme using the Haverland heating app. The infrared sensor will not monitor the movements of smaller animals, so if you have small dogs, cats, ferrets, rabbits or goldfish your heating will be unaffected. Note that the sensor will only work if it has a clear line of sight to the people in the room. You should bear this in mind when installing the radiators; self-learning mode will not work, for instance, if the radiators are fitted behind the sofa. You should never cover your SmartWave radiators, either with clothes, towels or radiator cabinets because this will block the sensor, impede heat generation and pose a safety hazard. The sensor has a range of 5 metres, a horizontal beam angle of 150˚ and a vertical beam angle of 84º. Are SmartWave radiators suitable for use in bedrooms? Manual mode allows the SmartWave to heat the room to comfort, economy or anti-frost temperature settings and deactivates the motion sensor. The SmartWave will continue to heat the room to the selected temperature level until it is changed to another setting by the user. Alternatively, you can purchase a Wi-Fi controllable SmartBox and use the SmartWave in ‘forced programming mode’. Using the Haverland heating app, the SmartBox allows you to create a bespoke heating schedule for every SmartWave in your system so you can programme your heating on a room-by-room basis. This is not only useful if you want a customised heating routine for your bedroom – it’s an excellent way of minimising energy usage throughout your home. If you’d rather not use a Wi-Fi programmer for your radiators, you might wish to purchase a standard Haverland RC Wave electric radiator for your bedroom. The RC Wave is identical to the SmartWave in all respects except that it does not have the self-learning feature and cannot be controlled over the internet. The RC Wave is nevertheless fully programmable from the control panel on the body of the radiator. How do you install SmartWave electric radiators? SmartWave electric radiators are suitable for DIY installation. The radiators simply screw to the wall and plug into the nearest socket. If you prefer a more discrete fitting they can be hardwired into the wall by a professional electrician. SmartWave electric radiators are also suitable for free standing fitting, when you purchase with an optional pair of feet. The feet simply slot onto the base of the radiator, which can then be plugged into an available socket. All our radiators use standard 3-pin plugs. The Haverland SmartWave uses innovative self-learning technology to learn your weekly routine and create an energy-saving heating programme that cuts down your heating bills without compromising your comfort. For a little more control over your radiators, all our SmartWaves are wifi compatible, allowing you to tweak your heating programmes over the internet. With a stylish contemporary design in recycled aluminium, the SmartWave combines modern design with futuristic heating control. Smart, stylish and totally carbon-free, the Haverland SmartWave takes energy efficiency to the next level.